Drink: I love a Mojito in the summer. If you want to mix it up have a strawberry one. My Tip: Most places will serve their Mojito with Bacardi or other cheaper Rum. Ask for Havanna as it will have a smoother taste (and no headache in the morning). Price: Quite expensive, be prepared to pay 10-14 Euros for a cocktail. 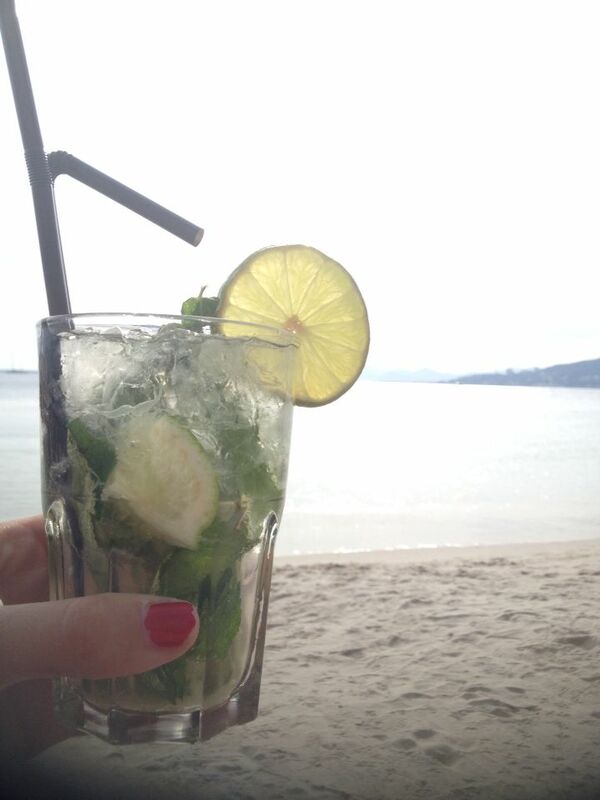 Do: Sit in one of the Beach Bars right next to the ocean, enjoy the view and have a nice cool drink. When its hot enough a swim in the water will cool you down. This entry was posted in France, Places behind Drinks and tagged Cocktails, Drinks. Bookmark the permalink.